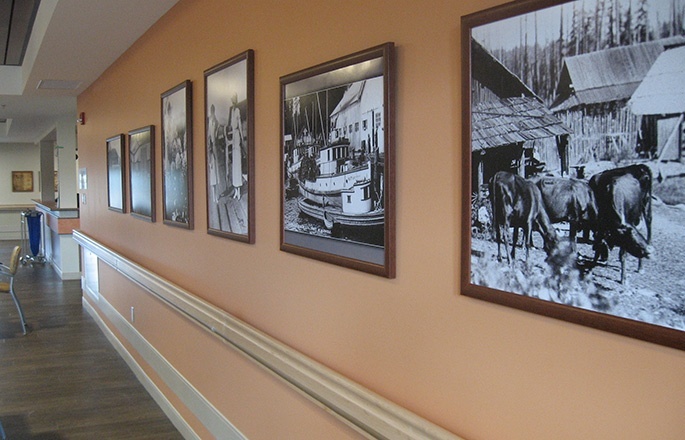 A premier Park Place long-term care facility Discovery Harbour Seniors Community focuses on supporting seniors who can no longer live safely, or independently at home. 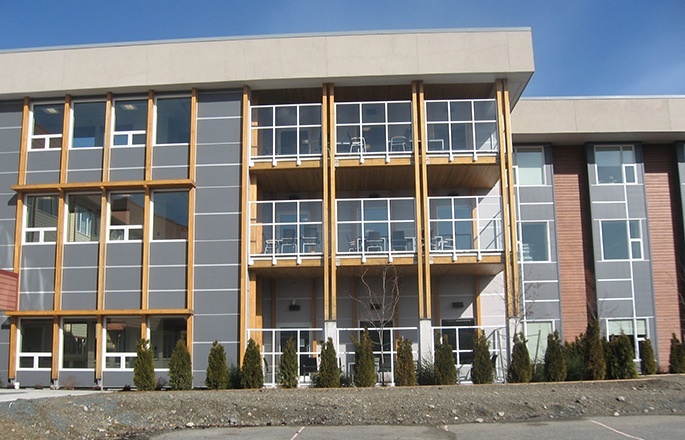 Located in the heart of Campbell River, BC Discovery Harbour Seniors Community combines modern living with comfort and services you need in a warm and welcoming community. 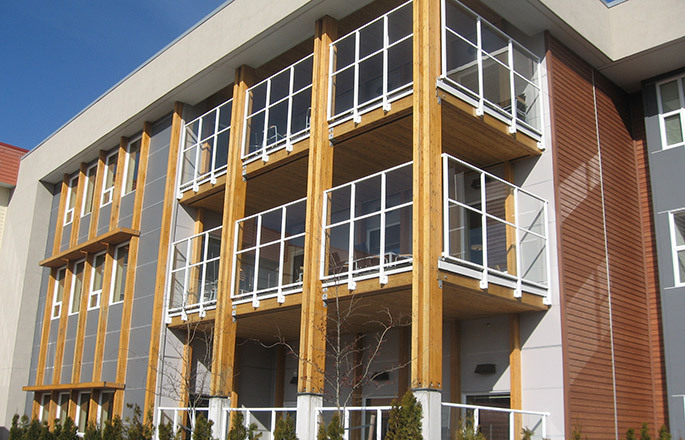 Seniors will enjoy access to the many services and amenities Discovery Harbour Seniors Community has to offer. From outstanding dining experiences, weekly housekeeping and laundry service to a range of exciting activities and social events – we’ve got you covered! Brenda Broumana, our resident Food & Beverage Manager, leads our kitchen team as they prepare fresh, delicious and inspired meals daily. 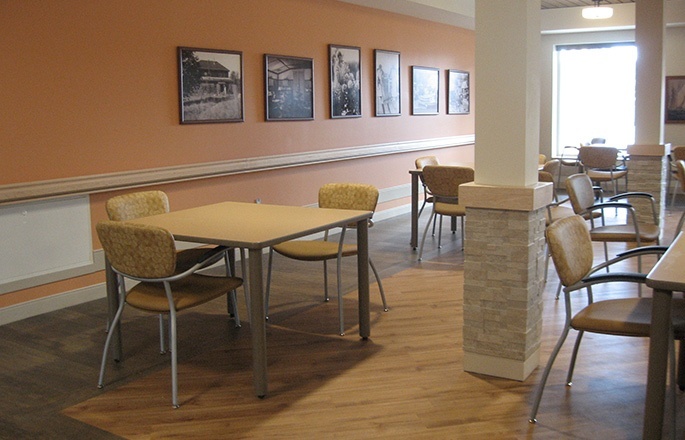 Each resident receives individual meal service in the common dining areas room 3 times daily. Familiar festive foods are offered for special occasions and special events. Barbecued meals are offered throughout the summer. We are committed to ensuring you feel secure in your new home. For added security, each suite is equipped with an emergency alert system. Residents are provided with access to full-time daily living and nursing care support as well as specialized support for residents with Dementia and Alzheimer’s Disease. Our residence is equipped with secure entry and exit points and is walker accessible for residents requiring mobility aids. 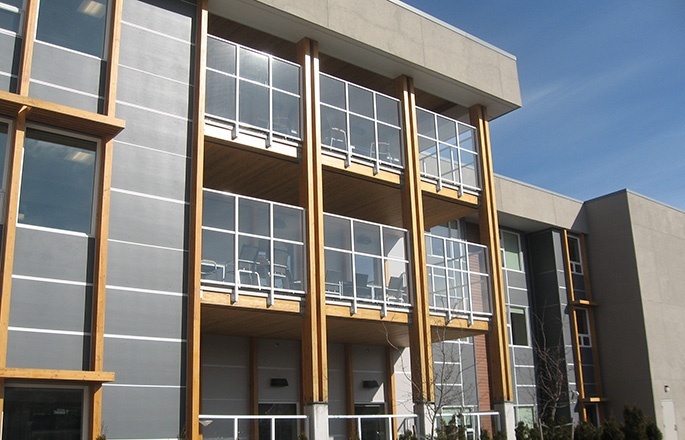 Discovery Harbour Seniors Community offers access to services and amenities, both on-site and within the local community. Boasting an abundance of indoor and outdoor amenities for our residents to enjoy, you'll love living here. Our thoughtfully designed residence provides residents the opportunity to visit with each other or guests in communal gathering spaces located throughout the property. 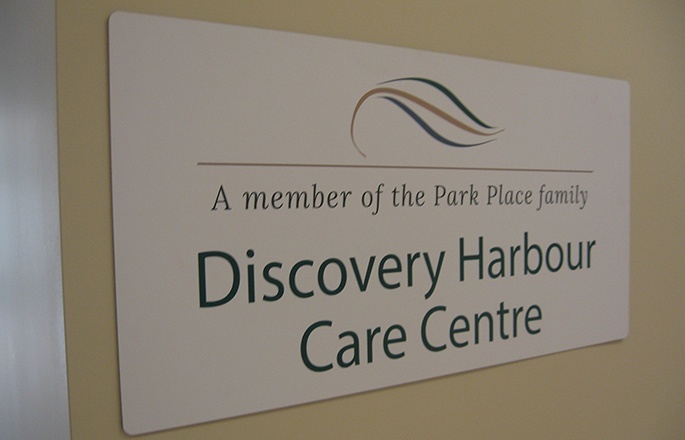 Discovery Harbour Seniors Community welcomes well behaved, visiting pets under control of the owner. 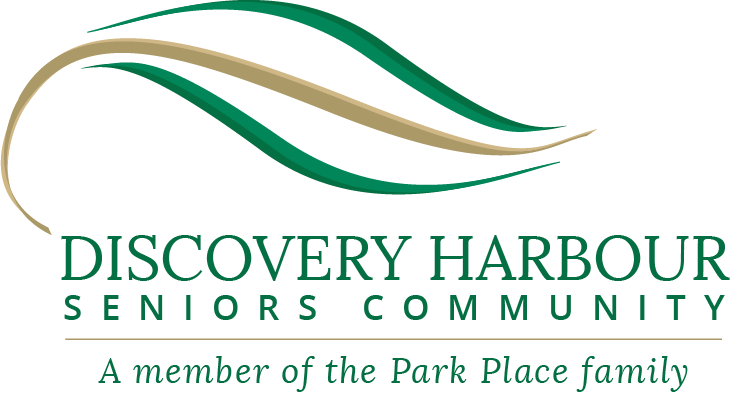 With a focus on creating a community and enhancing the lives of our residents, Discovery Harbour Seniors Community provides the opportunity for residents to participate in several organized activities and events throughout the year. Many of our events are also open to the public - family and friends are always welcome to join in the fun!